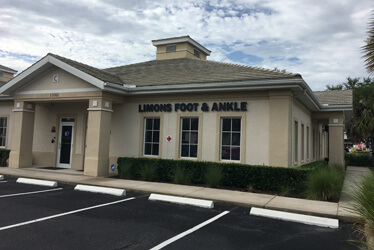 Podiatrists Shaun J. Limon, DPM and Lisa Griffith-Limon, DPM of Limons Foot and Ankle Care strive to deliver the best in foot, ankle, and lower leg services in a comfortable and friendly environment. Our experienced foot doctors treat a wide range of podiatric problems for both children and adults. 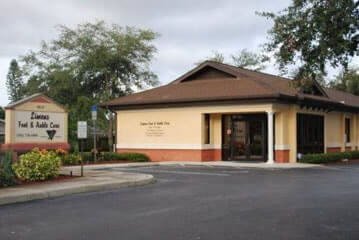 The family-owned and run practice has two offices conveniently located in Bradenton, FL and Lakewood Ranch, FL. Aside from general podiatric care, our practice specializes in treating diabetic feet and providing MLS laser therapy for heel pain, arthritis, and nerve pain. We also provide laser treatment for fungal nails. We stress the use of conservative treatment and only turn to surgery after all other non-invasive methods are proven unsuccessful. We accept most insurance plans and welcome new patients! If you have any questions or would like to schedule an appointment, call our Bradenton office at (941) 756-6906 or our Lakewood Ranch office at (941) 782-8639 today! Walk without worrying about heel pain, foot pain, or ankle pain! Limons Foot & Ankle Care is equipped to handle all your foot and ankle problems.